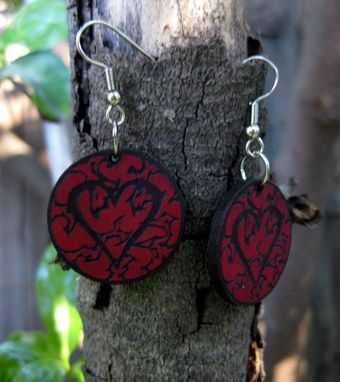 1" Black Heart Leather Earrings, Surgical Steel Fish Hook. 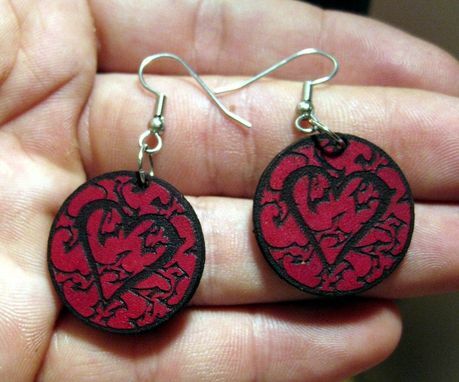 These beautiful 1" laser cut vegge tanned leather Hearts are attached to 3/4" Surgical steel Fish hook earrings. Great for that elegant night out or everyday use. 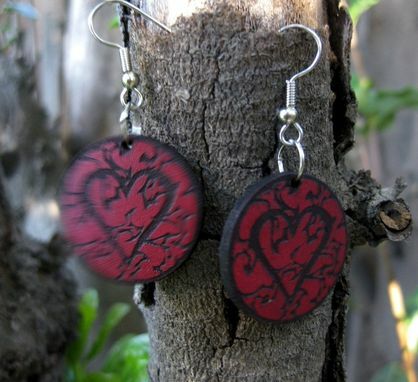 Hand dyed black and red. Can be dyed any many different colors, will ship as pictured unless you request a different color on ordering. Thank you for your views. Have a great day.